Texture spraying - MrFix finds you a texture spraying expert within 3 hours. Texture spraying - MrFix finds you a texture spraying expert within 3 hours. Need texture spraying? Contact plastering service MrFix! How do I request a texture spraying expert? Ik zoek een behanger in Amsterdam die een 9 meter brede wand kan behangen. Een wand van 9 meter breed en 2,5 meter hoog moet worden behangen met fotobehang. All MrFix rates are fair and transparent. Plasterers charge a fixed rate of €60 per hour including VAT (at the low 9% rate) and call-out charge. For jobs that require more than a day (8 man hours) of plasterwork, we recommend that you request a quote (fixed price). Not only for maximum certainty in advance but also because most plasterers offer a 10-20% discount on such large jobs. If you provide enough information (e.g. via the WhatsApp group that we create for you and the texture spraying expert) you may even get a quote without the usual initial visit: that saves you time and money. Now if the expert does his texture spraying job right – and he will – then you will not see him again for many years, but he will be working with MrFix again next week so he gives competitive quotes and he does his very best! Did you know that the Dutch tax authority helps keeping plasterwork affordable by applying the reduced VAT rate of 9% (instead of 21%)? See the rules, unfortunately in Dutch only. 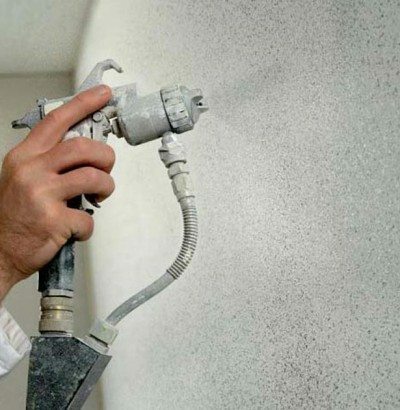 The texture spraying jobs that MrFix arranges are often substantial, so your tax saving is substantial too! Please note: the low VAT rate only applies to homes older than 2 years and applies to both labour and materials. Texture spraying is a quick and rather cheap way of refreshing the looks of your livingroom, bedroom, corridor or entire house. Two layers of special plaster will be applied; the second layer consists of fine-grained plaster. Texture spraying requires experience, special equipment and thorough knowledge about the material to be applied. MrFix can arrange the right plasterer to do the job. 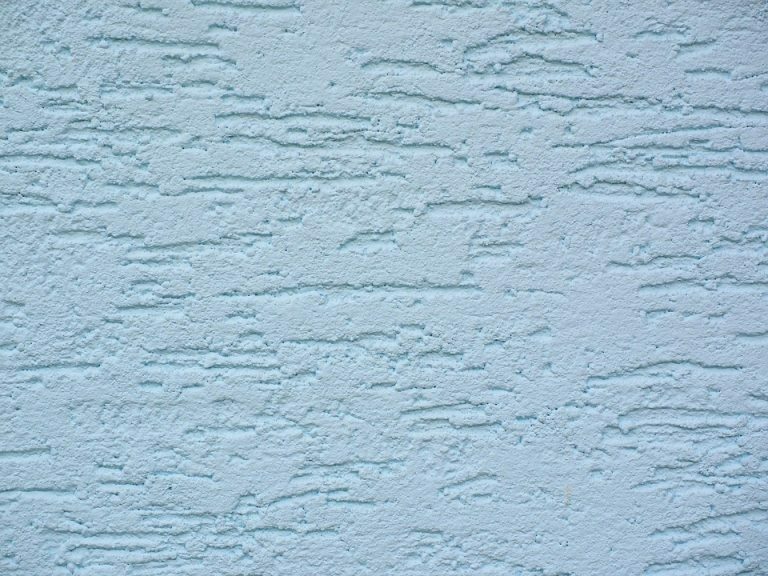 The quality of the texture spraying will be very important to the overall result of the changes you are making to your house. Quality texture spraying jobs that last for many, many years require professionalism and experience. It’s simple: fill out the web form and we will match your job with the right expert within three hours. Easy, right? MrFix has a local plasterer available even today. For further questions about local plasterer rates see the Rates page or call us on 020-675 0333 (Mon-Sat 8.30-18h). The work of our qualified plasterers is covered by a triple guarantee: 1) the guarantee by the texture spraying expert himself. 2) his liability insurance and 3) MrFix’s leverage over the expert. So you are in safe hands. By using a spraying technique this way of plastering is a quick and rather cheap way of embellishing your house. Another important advantage is, that the plaster material itself is available in different colours. So there is no need to have it painted afterwards! For urgent jobs you can contact MrFix. We will connect you to a local plasterer within 3 hours, and often faster than that. Please note: there is a 50% surcharge for jobs that must start within 24 hours. Do you prefer the job to be done outside normal working hours? Or do you want your office to be plastered outside office hours? Our texture spraying experts can do the job at night, during weekends or on holidays. Please note: there is a 50% surcharge for jobs that must start after 18h, on weekends or on holidays. Our qualified plasterers are ready to do every conceivable plastering job in the West and Centre of The Netherlands quickly. We serve the whole western conurbation (the Amsterdam, Haarlem, The Hague, Rotterdam, Utrecht area) but also the surrounding parts of Holland, up to and including Eindhoven and Apeldoorn. The quickest way to request a texture spraying job is via our web form and if you prefer you can also mail, call 020-6750333 (Mon-Sat 8.30-18h) or send a WhatsApp message to 06-15380087. Beside Texture spraying MrFix can also arrange a qualified Handyman, Plumber, or Electrician. Need texture spraying or painting in your region? Whatever your home improvement job is, MrFix has the best network of experienced, reliable painter / plasterers in Amsterdam, Rotterdam, The Hague, Utrecht and elsewhere in the West and centre of Holland, up to and including Eindhoven. Fill in the form, then we will match you as quickly as possible to the right painter, texture spraying expert or paperhanger in your region.